Home Universal Studios Hollywood Photo Updates What’s Hot In Hollywood? 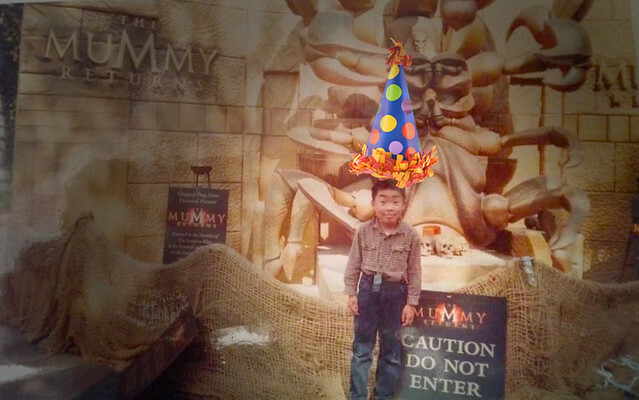 – Jurassic Park, Wholidays, and Things to Come! What’s Hot In Hollywood? – Jurassic Park, Wholidays, and Things to Come! It’s nearly Christmas, and no one celebrates the season quite like Tinseltown! The park is alive and abuzz this month with Grinchmas celebrations, the return of a classic, new ways to celebrate, and the final farewell to an old favorite, as well as more rumblings and rumors of things to come. 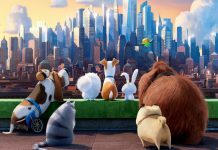 Here’s a peek at what’s hot in Hollywood right now! With the Grinchmas celebrations still in full swing, the staff at IU has been in the parks at various times the past few weeks, and is still coming back for more! With an expanded snow play area, great photo ops with the Whos and the Grinch himself throughout the park, and a special addition to the Studio Tour, now is the perfect time to get into the season and hit the park. 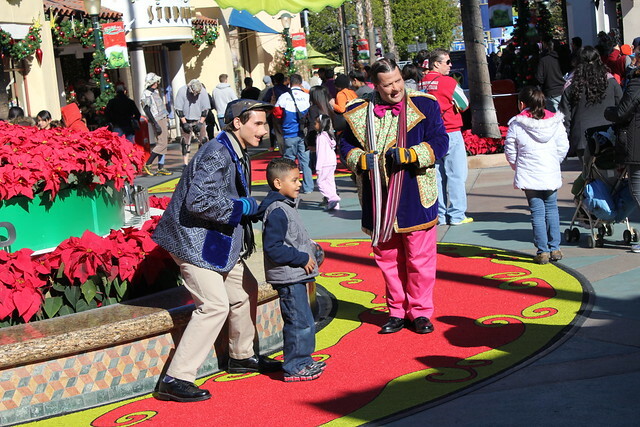 In addition to Grinchmas, we are also planning a member meetup on December 31st to say goodbye to T2:3D. Check out the Inside Universal Facebook page or email us to find out when we’ll be in the parks, and stop by and say hello! 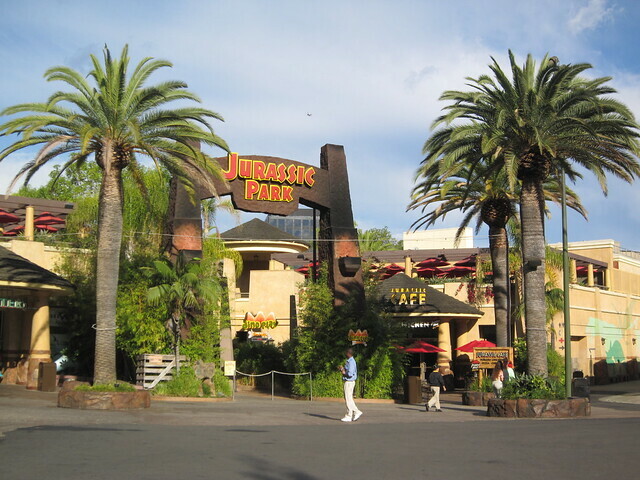 After a refurbishment period of nearly two months, Jurassic Park the Ride has returned to daily operations! After nearly three full years without it, the The River Adventure finally received a heavy and much-needed refurb. Much of the changes are cosmetic, but all have greatly enhanced the look, feel, and overall experience of the ride. And that’s all before we get to the climax of the ride! In the pump station itself, the attacking raptors are sadly much the same, but parts of them have been fixed, such as slow release time and a few cracks in the skins. After the little drop down into the main pump station, lights have been added to draw attention to the details on the office doors and a spotlight has been added to draw attention to the area just under Rex #1, to ensure that people are looking in that area before passing under him. Rex #1 seems to be positioned lower now as well, adding a thrill that was sadly missing before. More light and mist effects have been added in near the final drop, and Rex #2 is also lower and comes out further to meet the raft. Sound throughout the attraction has been upgraded, and the T-Rex roars have more power than before. The River Adventure should be set with this refurbishment for at least the next few years, with standard light refurb in the meantime. We hope to have video of the changes in action for you soon. Have pictures of your own you’d like to share? Feel free to get in touch with one of us to have them featured! After years of Orlando getting all the little quirks, Hollywood has finally jumped in on the party with birthday buttons for celebrating guests! The buttons will be available at Guest Relations inside the park. We’ll hopefully have a photo and more info for you next week. 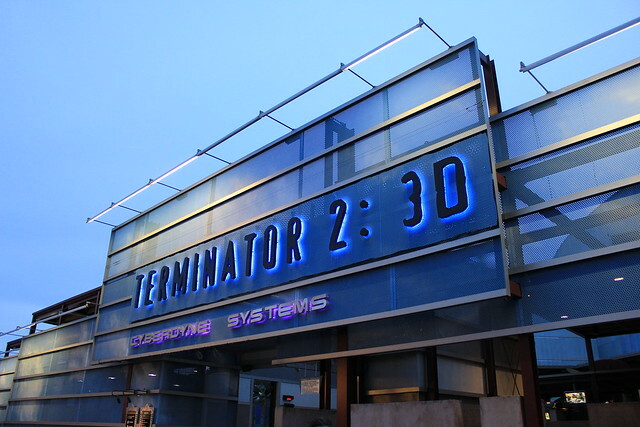 Sadly, Terminator 2:3D Battle Across Time is now entering its final week and a half of performances. After 15 years, sources inside the park have confirmed Despicable Me: Minion Mayhem is being ported over from Florida. This seems to be backed up by the heavy amount of DM merchandise that has been sent over from the Orlando parks in the past weeks. We’re still waiting for the official announcement by Universal. More details will be reported as they are released, so keep checking back for the latest news. After only five years of operation, the Simpsons Ride – which replaced the widely-loved and well-regarded Back to the Future ride in Hollywood after its closure back in 2007 – is rumored to be on the chopping block, with a new ride potentially slated to open in 2015. Sound a bit coincidental? For fans of the BTTF Trilogy, it should – 2015 was the year in the future that Marty McFly traveled to in BTTF Part 2. 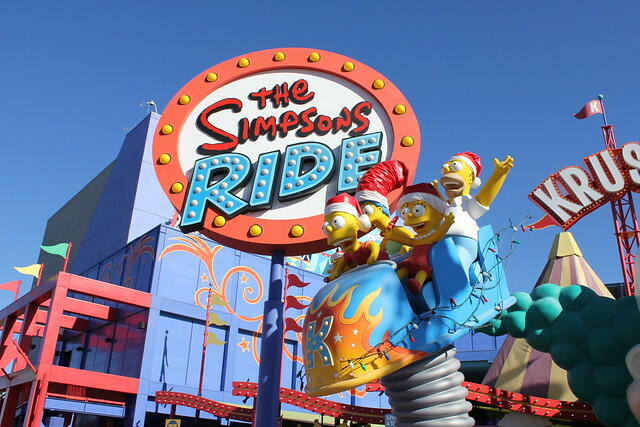 The Simpsons ride has been popular with first-time guests and fans of the show, but to frequent visitors to the park and BTTF fans, it is reviled. Flagging rider numbers have been a trend for the ride for the past two years, especially with the inclusion of Transformers to the Universal ride lineup. Could the widespread fan backlash be enough to finally close the curtain on the Simpsons Ride, and bring back a revamped Back to the Future: The Ride in 2015? You better believe we’ll have our eyes very closely on this one! Another rumor flying around is that Waterworld – Universal’s highly popular stunt show which turned 17 this past October – may be coming to an end by 2015 to make way for the much hyped (but much dreaded, in this reporter’s personal opinion) Wizarding World of Harry Potter, set to open in late 2015/early 2016. 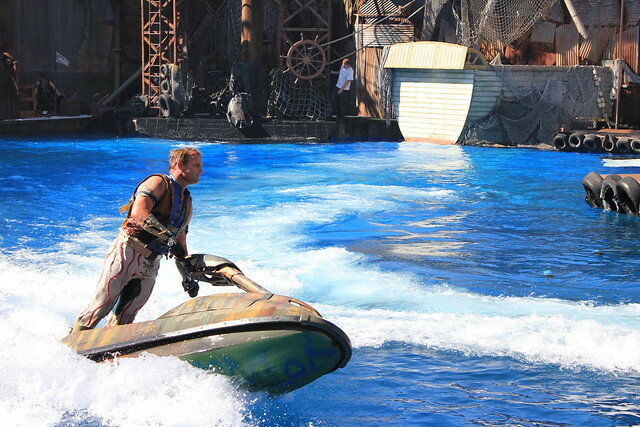 The most current refurbishment that Waterworld underwent much earlier this year is supposed to hold it over for another four years, while the contracts for the actors is also currently for the next four years. 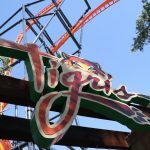 This would unfortunately give credence to the current closure rumors. Hopefully, we won’t have news to report on this for quite some time. That’s all the current news from Hollywood – we’ll be back soon with more news from around the park. Till then, for all the latest updates follow us on Facebook, or join the conversation here on the forums. From us here at Inside Universal, Happy Holidays! This is Miss Betty Juice, signing off. Thanks for reading!